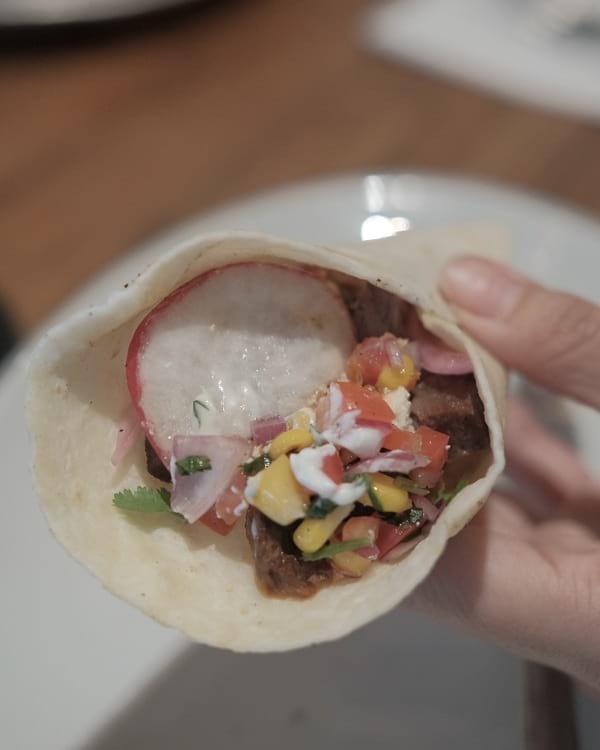 It might be quite unusual to be craving for tacos and find yourself scarfing down some in a coffee shop midday, but here we are. It's an ideal zesty afternoon snack, especially for summer when you may be craving for mor noms than sips of hot coffee. 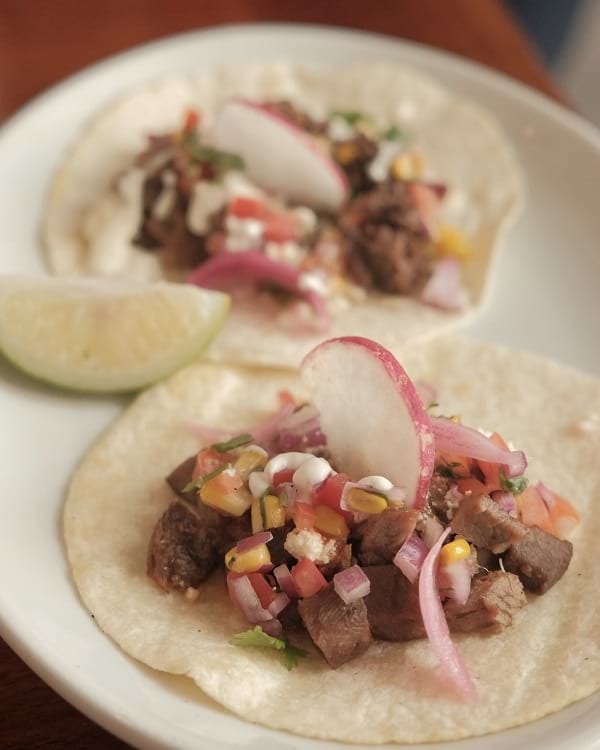 Toby's Estate's Braised Beef Tacos (P320) is a pair of soft tacos with braised Beef ricotta and sour cream topped with salsa roja. 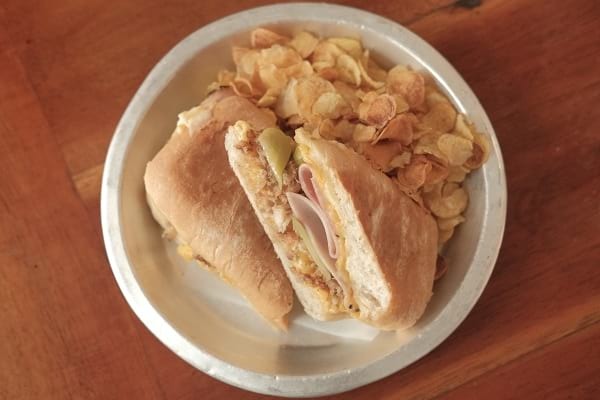 Good comfort is also found sandwiched in between bread, like in the classic cubano sandwich that combines ham and cheese in your every bite. 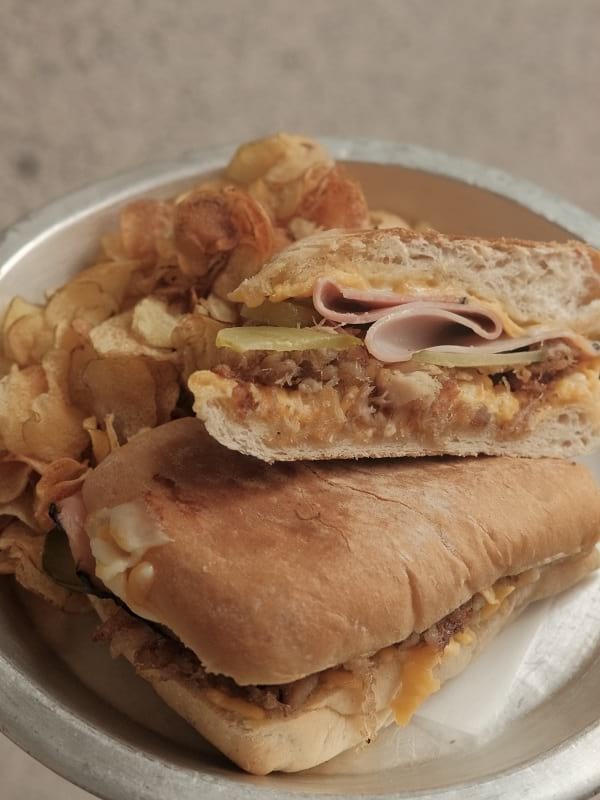 The cafe's Cubano (P430) adds carnitas (pulled pork) and forest ham with kosher dill pickle, and is finished off with a smear of dijon mustard and cheese. 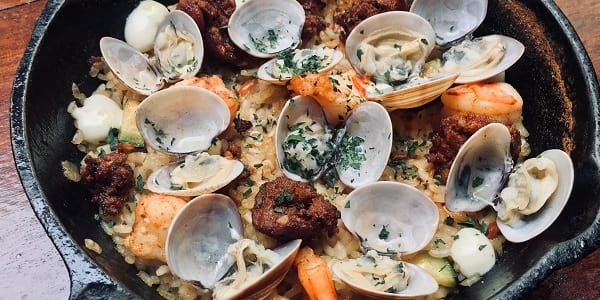 For something more filling for lunch or dinner, this cafe is offering paella this summer -- another dish on the menu that does prove Toby's Estate could be the choice for all sorts of hunger and not just thirst for caffentated drinks. 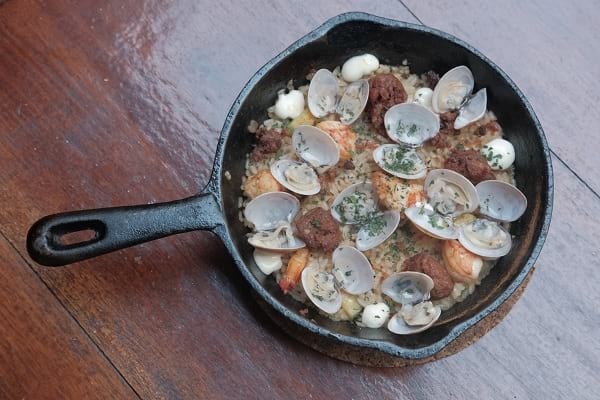 This season's Seafood Chorizo Paella (P485) is made extra punchy with generous chunks of salty, peppery chorizo that served as spicy interplay with the brininess of clams and the sweet shrimps. The chorizo so enjoyable and for those who also love its flavors, you can try the cafe's chorizo sandwich that is included in the regular menu. 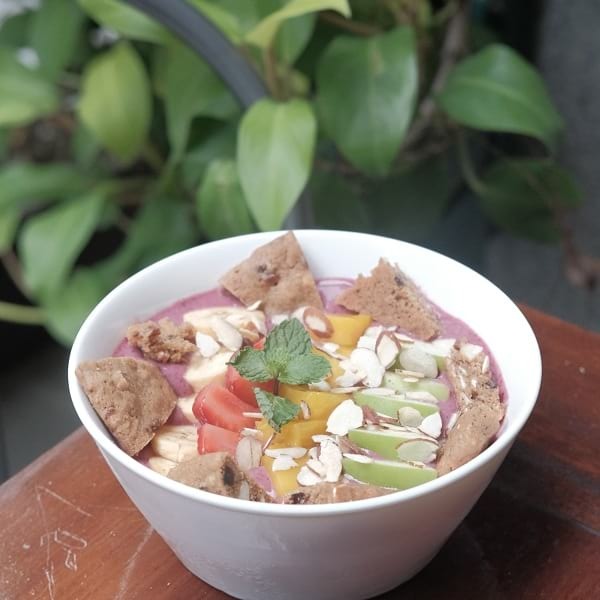 Meatless eats are also included in the seasonal menu of Toby's Estate, and for the healthy eaters out there, the Berry Crunch Smoothie Bowl (P260) is a delightfully refreshing and filling bowl that's tastes as good as it looks. 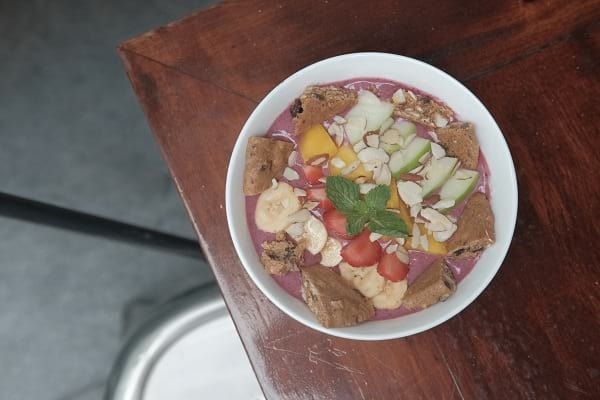 The thick mixed berries smoothie is topped with tropical fruits like strawberry, appples, and bananas and the additional topping of cookie pieces give it an extra crunch. 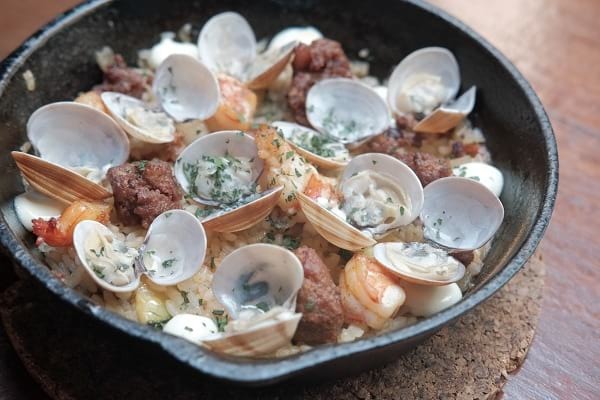 The seasonal menu of Toby's Estate is expected to be available until June 2018. 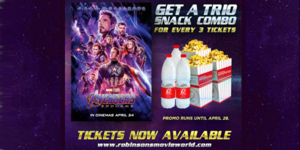 Find a Toby's Estate near your at Century City Mall, Eco Tower BGC, SM Aura BGC, Cyberspace Beta Ortigas, Whitespace Makati City, Senta Condominium Legaspi Village Makati, Shangri-la EDSA, Viridian Greenhills, Shangri-la Fort, Serendra BGC, W Fifth Ave. Bldg. BGC, V. Corporate Center Salcedo Village Makati, The Globe Tower BGC, and BDO Corporate Center ADB Ave. Ortigas Center. Follow Toby's Estate Philippines on Instagram (@tobysestateph) and Facebook (/tobysestateph) for more information.